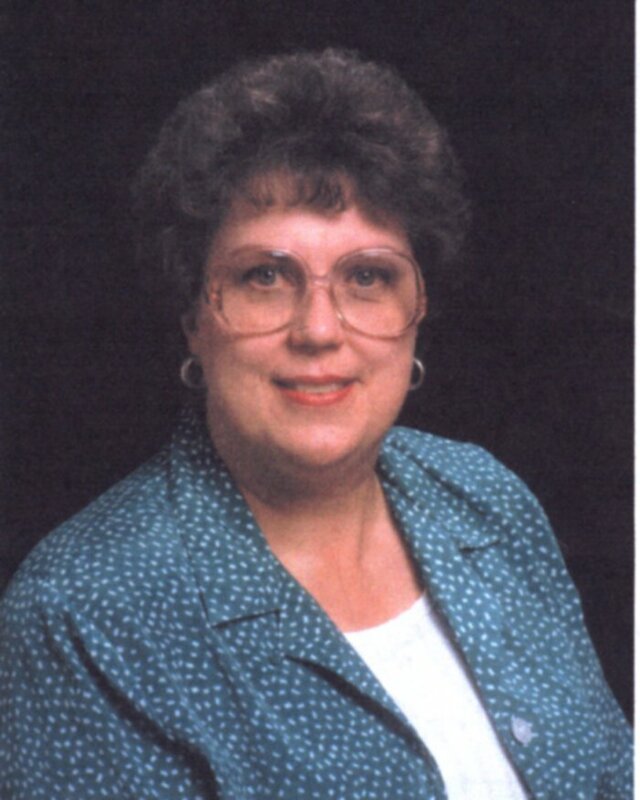 It gives me great pleasure to welcome back a wonderful author, Caroline Clemmons. The last time she visited, her book, Brazo's Bride, had just released. Now we get the second book in the Men of Stone Mountain series. Thanks to Peggy for inviting me to share her blog. 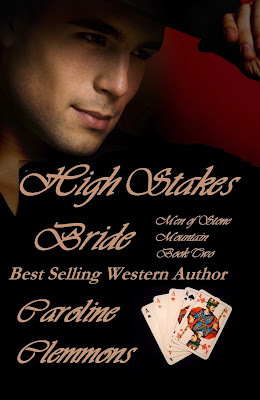 I’m happy as a new colt over HIGH STAKES BRIDE, Men of Stone Mountain, Book 2, in print and e-book. Of course I love this book, and I so hope readers will too. I developed the premise for this trilogy while visiting the historic Belding-Gibson Ranch in Palo Pinto County, Texas. This is a large ranch, but only a fraction of the original size due to divisions among family members. The original home site is inhabited by Barbara (Belding) and Charles Gibson. The occasion of their opening their ranch to visitors was the release of Barbara’s book about the ranch, PAINTED POLE. I am so happy that I was able to tour this historic property in the beautiful (to me) Palo Pinto Mountains. The Gibsons have been good stewards of their heritage. The horrid fires of last summer almost destroyed the ranch, and the Gibsons lost cattle and grazing land, but the home was spared. In the first Men of Stone Mountain book, BRAZOS BRIDE, the ranch was the setting for Hope Montoya’s ranch, but with a Spanish-style hacienda instead of a western ranch house. The smaller ranch owned by Micah Stone cozied up to the vast Montoya acreage, but without access to the river. Most ranchers at this time did not use wire to enclose their land, but Hope’s father had fenced in all of his property except that adjoining the Brazos River. When he was murdered, Micah was accused, and barely escaped with his life. For convenience, I slipped in the town of Radford Crossing a few miles away. 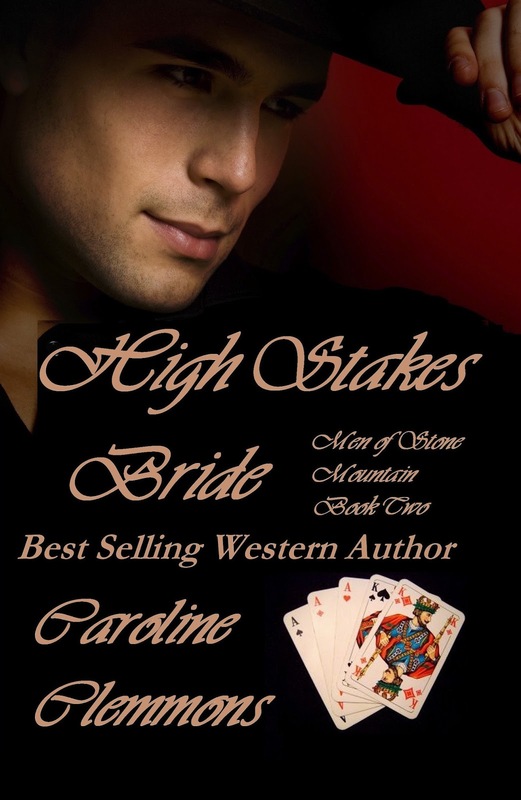 In HIGH STAKES BRIDE, Alice Price is on the run from dangerous men. She had known that when her stepfather died, she would have to hurriedly escape her stepbrothers. Hadn’t she heard them promise her to the meanest man in Texas as payment for high stakes gambling losses? One misfortune after another devils her until she links up with Zach Stone. He looks sturdy as his last name and invites her to his ranch where his two aunts will chaperone them. She figures life finally dealt her a winning hand. Zach Stone has the sweetest ranch in all of Texas, at least he thinks he does. All he needs is a wife to build his family of boys and girls to carry on his ranch and name. He’s been jilted and vows he will never even speak to a woman again unless she's a relative. Then he comes across Alice Price and comes up with a crazy plan. He’s figured everything out, and is sure nothing can go wrong with his plan. Doesn’t it always? Otherwise there’s no book. ☺HIGH STAKES BRIDE has several incidents based on real life, a first for me. Characters and stories pop into my head unbidden, and I don’t use anything specific from life. I qualify the statement because I believe our subconscious is a pool of combined experiences from our lives and those of people we know or have heard about. In other words, a writer’s muse steals from a writer’s subconscious well. For this book, though, several things just fit the book. The first was an incident that happened to my brother’s ex-fiancée once a day after Thanksgiving. The second combined with the first is in the excerpt below and happened to my neighbor when her bull--who was just being affectionate--pushed her into one of those large round hay bales. Lastly, I used an historic incident and had a real life hero help my fictional hero. A fourth incident is related to when a friend tried to dye her hair darker and had the same result as Alice. Zach slipped into the bedroll and waited, pistol in hand. He feigned sleep, wondering what kind of man tarried nearby. Whoever it was could have picked Zach off, so the sidewinder must not have murder on his mind. Probably up to no good hiding out like that, though, because any Westerner would share his campfire and vittles with anyone who rode into camp. Zach wriggled into a comfortable spot and lay motionless. Anger at recent events helped him remain awake. The footfalls came so softly he almost missed them. He opened his eyes a slit, but enough to see a thin shadow move toward the fire. About then heavy clouds overhead parted and the moonlight revealed a boy who scooped up a slice of bacon and slid it into his mouth. The culprit set Zach’s tin plate on the ground near the fire, ladled beans into it, and picked up a fork. He squatted down and balanced the plate on his knees before he commenced eating. Zach noticed he kept his left hand in his pocket the whole time. Something must be wrong with the thief’s left arm. Looked too young for it to have been a casualty of the War. Lots of other ways to get hurt out here. Whatever had happened to his left arm, his right one worked well enough. He forked food into his mouth like he hadn’t eaten in a week. Zach let him shovel beans for a few minutes. Crook or not, anyone that hungry deserved a meal. When the kid stopped eating, Zach couldn’t figure out what he was doing. It looked as if he used the fork to scratch around on the ground, so he must have eaten his fill. Zach slipped his hand from beneath the cover and cocked the pistol. Zach walked toward the kid, careful to train his gaze so the firelight didn’t dim his eyesight. Sure enough, he spotted a couple of coins on the rock beside his pot of beans, or what remained of them, and his empty plate. Zach thought he also heard the kid mutter what sounded like “...or maybe too friendly.” Must be the wind, he thought, as he neared the boy. The kid stood, hat low over his face and his good hand clenched. A fistful of sand hit Zach’s face. He heard his assailant run. Mad as the devil, Zach brushed grit from his eyes and set out in pursuit. The kid was fast, he’d give him that, but so was Zach. His longer legs narrowed the distance between them. With a running lunge, he tackled the kid. “Oof. Let me go.” The lad was all wriggles and kicking feet as he squirmed trying to escape. Zach wasn’t about to let that happen. They rolled in the dirt. In one move Zach pinned the boy’s good arm. The hat fell aside and a mass of curls spilled around the kid’s face. His jacket parted and unmistakable curves pushed upward where Zach’s other hand rested. Zach stared in disbelief. Registering his hand pressed against a heavenly mound shocked him and he jerked his paw away. Zach saw her point. Though most Western men would respect a woman, it wouldn’t help if she ran into one of the exceptions. Well hell. As if he didn’t have enough on his mind. Now that he’d decided not to speak to another woman unrelated to him, this bundle of trouble showed up needing a keeper. She straightened herself and swished past him as if she wore a ball gown instead of a man’s torn britches. Watching the feminine sway of her hips as she sashayed to the other side of the campfire, he wondered how he ever mistook her for male. He followed her and tried not to appreciate her long legs or the way the fabric molded to them like a second skin. When she reached the blasted bedroll he’d been stuck with, she slid out of her jacket. A grimace of pain flashed across her face as the weight of the light coat slipped down her injured arm. In one graceful move she plopped down on the bedroll. “You’re sure you can do this?” she asked and looked up at him. Flickering firelight placed her features in shadow. Moving closer, he figured the poor light played tricks on him, for he couldn't tell the color of her hair. He decided she had light brown or dark blonde curls. Whatever color her eyes were, maybe blue or green, they were big and watched him with suspicion. “I never touch alcohol. If you’re sure you can do this, just get on with it.” She unbuttoned her shirt and winced as she slid the injured shoulder and arm free, and then stuck her chin up as if she dared him to make an improper comment or gesture. He knelt beside her, keenly aware of the differences that proved her womanhood. A chemise of fabric worn so thin as to be almost transparent pulled taut across her breasts. He swallowed and willed himself to ignore the dark circles surrounding the pearly peaks thrusting at the flimsy material. The memory of the lush mound he’d touched briefly wouldn’t leave him. He’d been alone too long and had better concentrate on the job at hand. “Hurts already, but I better put my bandana in my mouth so I don’t scream. I’m not a whiner, mind, but wouldn’t want to draw attention if there’s others nearby.” She slipped the cloth knotted around her neck up to her mouth like a gag, then laid down. She moaned but didn’t fight him. Zach had seen this done numerous times over the years and had performed it twice. He probed her shoulder gently, then rotated her arm to slip it back into place. He listened for the snick of the bone reseating itself in the socket. When he finished, he massaged the muscles of her upper arm and shoulder. She’d likely be sore for weeks, but the harm she had done wasn’t permanent. She lay with her face turned away from him. When he leaned over, he realized she’d passed out. I’m currently at work on the third in the series, BLUEBONNET BRIDE, and it should be released for Christmas. Thanks to Peggy for hosting me. I am very excited to announce the release date for Come Home To Me, Book 1 in the Second Chances Time Travel Romance Series! Rachel Parker is highly devoted to her family. A tragedy prompts a daring move to the Oregon Territory for a fresh start in a new land. After meeting the wagon train’s scout, the meaning of a fresh start may be more than she ever thought imaginable. Thank you to all who voted in the "pick the cover" poll on my facebook page. The cover I have posted here was the decisive winner. Everyone who voted (regardless of which cover) or commented on which was their choice has been entered in a drawing to received a free kindle copy of the book the day before its official release. 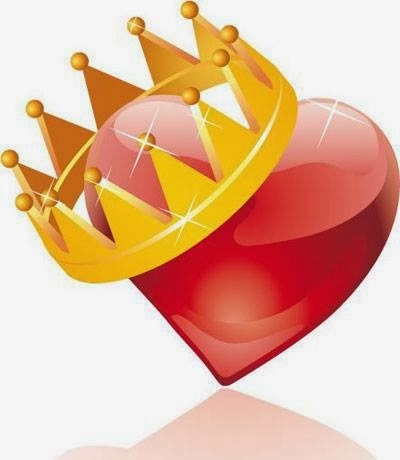 I will announce the winner on Monday, October 8, 2012. I'll be announcing a release date this week, so stay tuned. “I’m sure you’ve been to the fort often. What’s it like?” Rachel asked, breaking the silence between them. They hadn’t spoken most of the morning, each absorbed in their own thoughts. After burning the bodies of the Horner family, along with their wagon and possessions, Jake had tied the deceased family’s team of mules to the back of her wagon along with his mare. They’d wordlessly resumed their journey, stopping just before nightfall. Rachel was puzzled by Jake’s uncharacteristic quiet behavior, so unlike the outspoken man she’d first met a month ago. He’d said he had things to sort out. Something told her it was best to leave him alone with his thoughts.